Go North on I-75 to Ft. Wright exit, turn left off ramp, go to Dixie Hwy, turn right on Dixie Hwy (get in the left lane). Turn left on Sleepy Hollow go to the bottom of hill, At the stop sign make a hard right on Amsterdam Rd, 2nd home on the left. Charming Full Brick Cape Cod with lots of character. 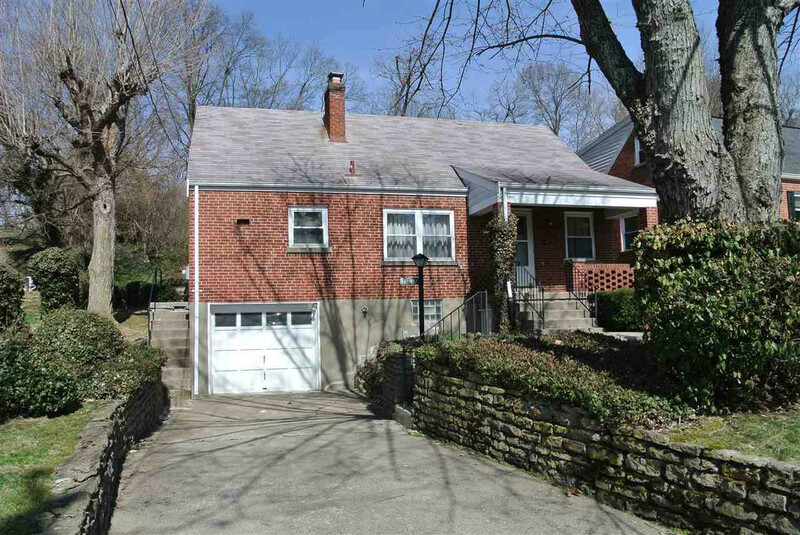 Ultimate Convenience of Park Hills and just minutes to Downtown Cincinnati, Churches, Schools, and Shopping. 3 Bedrooms, 1 1/2 Baths plus a 1 Car Garage. Beautiful Picture Framed Wood Floors, and Natural Stained Woodwork and Doors. Updated Furnace, Central Air, Windows and Large Mature Trees for a semi-private feel. Also offering a 1 Year Home Warranty for piece of mind after the sale. This home has been loved by only 2 families for 80 years. Although you could move right in, it's low price leaves room for new owner's updates.